Apple has recently patented a new kind of 3D screen technology, one that promises to break free from the shackles of polarized space-goggles. 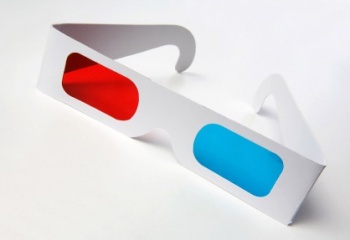 It's not what others have promised with their glasses-free 3D; most of the time you're required to sit perfectly still in exactly the right place in front of your 3D device in order to receive the three-dimensional image correctly. While this is fine for a personal device such as a 3DS, a television needs to be seen by many people at different angles, and is where this tech comes most in handy. The 3D effect is produced by filtering the light from the screen through a film of pixel-sized domes, which will refract the light to enter either the left or right eye of the viewer. By providing each eye with a slightly different view of the same image(the premise behind all existing 3D technology), the brain is tricked into doing the heavy lifting and combining two similar images into one three-dimensional one. In most cases, beaming separate images into the viewer's eyes is the exact reason behind being forced to sit in a certain area; the TV doesn't know where your eyes are, so you have to move to where the light is being beamed. Apple plans on combining the dome technology and 3D scanners to allow TVs to find their viewer's eyes, and beam the images straight to where they are. This would also allow use by multiple viewers, all without glasses. While I've never been a big proponent of 3D, I must admit that the idea of glasses-free, uninhibited 3D TV is something I can get excited for. Now alert me when the tech is used for something other than gimmicky eye-candy like Avatar and Tron.